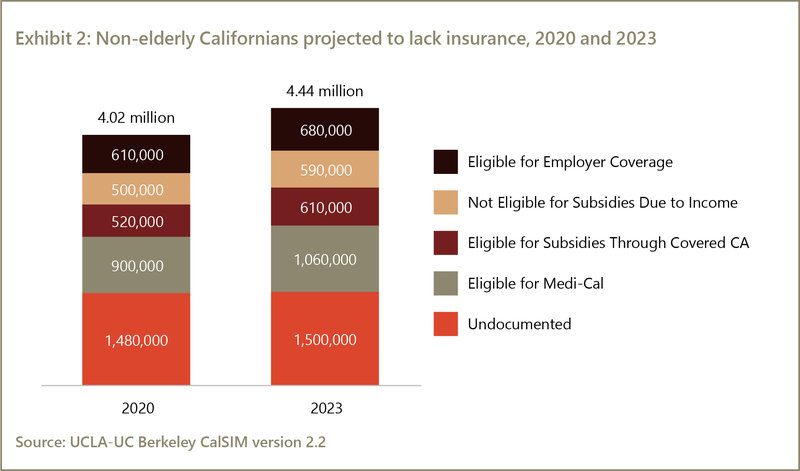 Undocumented Californians will continue to make up the largest group of uninsured, and many other Californians who are eligible for coverage—including Medi-Cal, insurance through Covered California, and employer coverage—will also lack insurance. Some Californians will not enroll in Medi-Cal despite being eligible because they are not aware of their eligibility, have difficulty enrolling, or have other reasons for remaining unenrolled. Some individuals eligible for employer coverage or insurance through Covered California, with or without ACA subsidies, will not enroll due to affordability concerns, rising costs, lack of knowledge of subsidies, or other reasons. 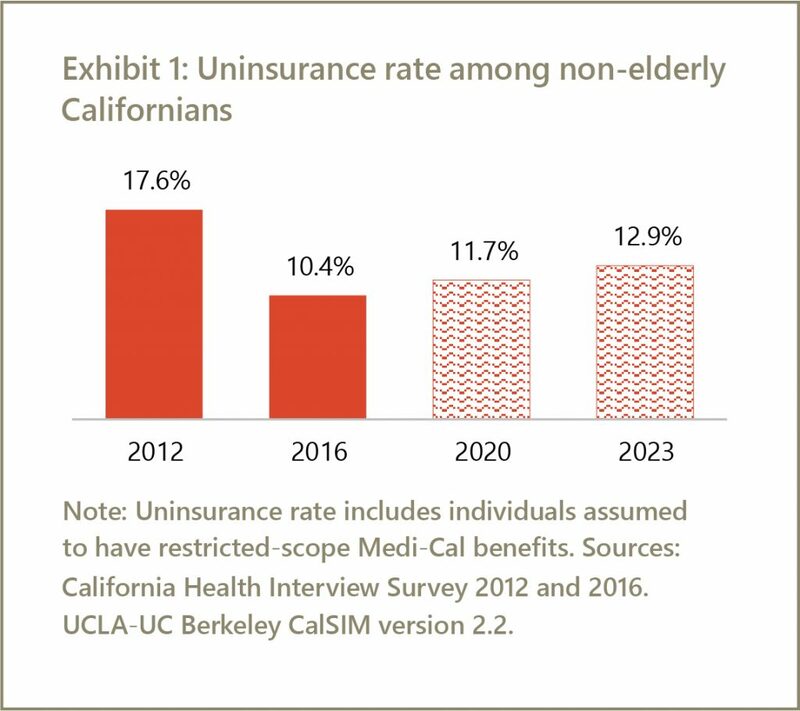 Uninsured Californians are projected to be disproportionately Latino (65 percent) and low income (52 percent at or below twice the Federal Poverty Level) in 2020. More than two-thirds of adults projected to lack insurance are working (69 percent), a rate similar to that in the overall population (73 percent). The uninsurance rate will vary regionally from a projected 9.9 percent in the Bay Area to 13.9 percent in Los Angeles County in 2020. Variation in uninsurance rates reflect differences in population characteristics, such as immigration status and income, healthcare premiums, and employers’ rates of offering coverage.